We're happy to announce the publication of design/REbuild! 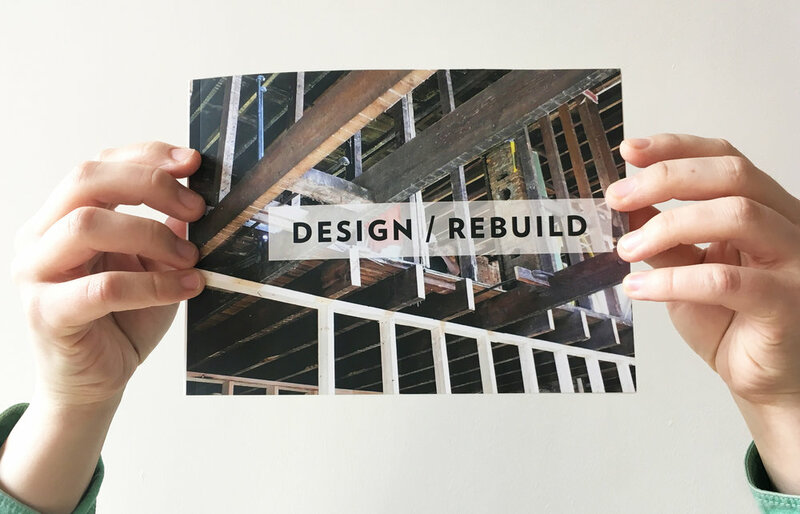 design/REbuild documents and celebrates the work of everyone involved in the Kent State University design/REbuild house renovation, 2014-2016. Featuring photographs from Helen Liggett Photography, the book highlights the background, design, construction, and completion of the CAED design/build house project. We're thankful to Helen and to all the many hands documented in her photographs that helped bring this house to completion. The book is not only a companion to the project itself, but to its sister publication, New Life for Old Homes, which focuses on spreading the lessons learned from this project to other undervalued homes in Cleveland and beyond. Please feel free to browse the publication below, and if you’d like to purchase a print-on-demand copy for yourself, you can find our Amazon link here. We hope you enjoy the book!